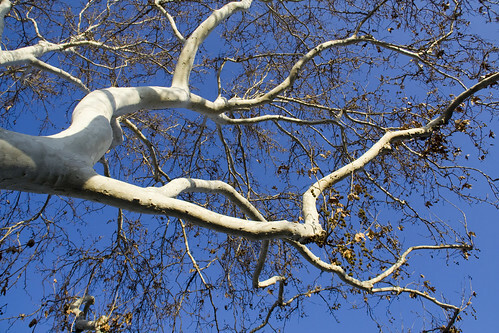 f/8, 1/250, ISO 100, 70mm, handheld, 2:33p.m. I know, the view in this picture isn't very impressive to most people. I'm looking to the north up Paramount Blvd. 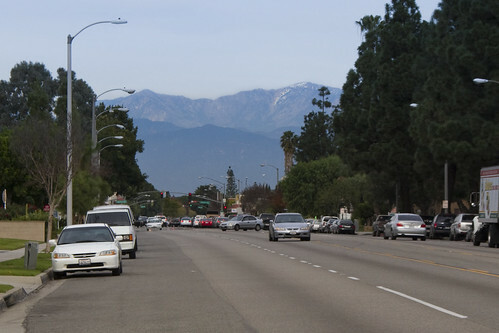 I used to walk home this way from high school, back in the early 70s, and the mountains were not an unusual site. These days, when you can see the mountains at all, it's time to stop and take a picture. This is the kind of day that contributes to California population growth. The whole country will see how clear and sunny it is tomorrow as they watch the Rose Parade, and next thing you know, they'll decide to move here themselves, never knowing that it rained all day yesterday. 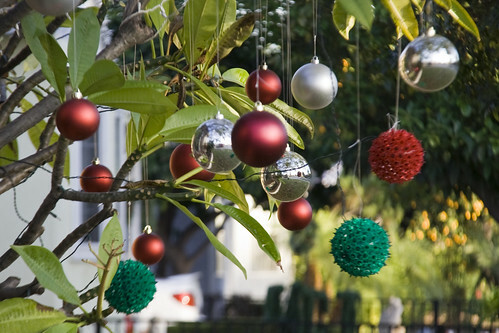 f5.6, 1/50, ISO 100, 145mm, handheld, 4:00 p.m.
We decorate all kinds of trees in Downey. f8.0, 1/160, ISO 100, 18mm, handheld, 4:00 p.m.
Winter officially started last week, but here in southern California, fall is still winding down. f8.0, 1/125, ISO 100, focal lenght 35mm, handheld, 3:55 p.m. 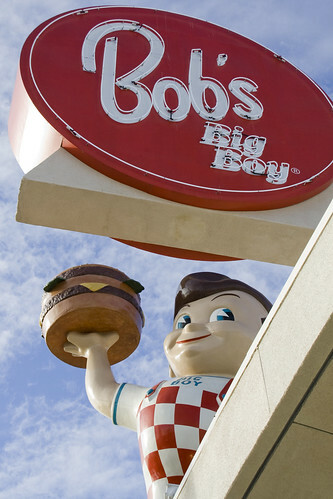 In October, 2009, Bob’s Big Boy opened on the site of the old Johnie’s (nee Harvey’s) Broiler in Downey. The Johnie’s of the 60s and 70s was a landmark, but the Johnie’s of the 90s was just sad. But still, I was sorry to see it turned into a used car lot, and sorrier still to see it being torn down. 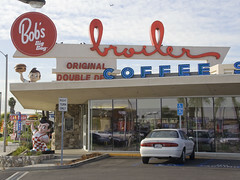 But then a group of concerned citizens stepped in, and now Johnie’s has been reborn as Bob’s. Welcome back Harvey-Johnie-Bob!